Everyday Carpet Cleaning Ladera Ranch. We take our carpet cleaning service in all seriousness. Also, providing same day service around Orange County and Ladera Rannch in particular is our ultimate pleasure. Ladera Ranch is among the newer towns in Orange County and mostly have a younger community with professionals and kids in the house. 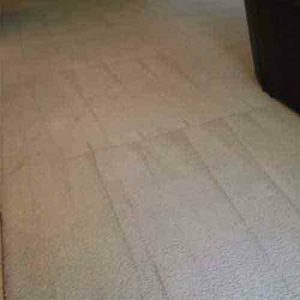 Therefore, we acknowledge the need for us to travel daily and offer carpet cleaning Ladera Ranch. Scheduling a carpet cleaning or upholstery cleaning periodically is vital when taking a full house in mind. Kids running around inside and outside, bringing dirt and mud onto the carpet. The Benefit Of Carpet Cleaning Ladera Ranch When Experiencing High Foot Traffic. Our top professionals at Dr. Carpet Irvine advise that heavy foot traffic could happen for several reasons. First, the more people live in the house the more often they would step repeatedly in the same areas. Hallways and walk in areas to the bathrooms and rooms are at high risk. Our feet generate oils that are driven into the carpet, while absorbing dust from the air. Then, they both sink in and create black spots. More Than just a black spot. However, the black spots on the carpet are not the only issue. Moreover, the foot action on the carpet slowly breaks ad tears and carpet fibers. Therefore, our carpet looks worn and matted. In that case the carpet cleaning service in needed to lift up the dirt from the bottom of the carpet. Using deep carpet cleaning method would save your carpet and buy you extra time with it. 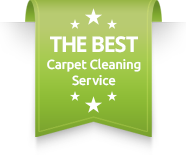 For more information and scheduling same day carpet cleaning Ladera Ranch contact us today. A Similar Approach For Upholstery Cleaning Ladera Ranch. As much as we love our couches, the upholstery the covers the couch gets a similar beating to the carpet. We spend thousands of dollars on the most comfortable couch and in addition the highest quality couch. Therefore, we expect the comfort and beauty of the couch to last for a long time. Upholstery Cleaning Ladera Ranch has the right knowledge and experience to freshen up your couch again and keep it fresh. Whether its a love seat or a sectional sofa, we got you covered with our top notch upholstery cleaning Ladera Ranch. Please contact us for more information about carpet cleaning Ladera Ranch solutions.